Are you part of a lab that deserves recognition, or do you know a group that has? Nominate them now! Regenerative medicine is a rapidly growing field with the potential to improve lives all over the world. At RegMedNet, we know that the most valuable players in regenerative medicine aren't always those we see in the news. As well as ground-breaking research and award-winning facilities, we want to recognize achievement in other areas, such as career development and scientific outreach. Promotes and nurtures the education and career development of PhD students and postdoctoral fellows through specific programs, initiatives and providing a range of opportunities to broaden their range of experience and skill base e.g. collaboration, opportunities for conference attendance (allowing networking and broadcasting of their work) etc. Provides opportunities, accessibility and training to undergraduates in the lab to positively promote careers in research and regenerative medicine e.g. final year research projects, work experience, placements, lecturing etc. Continually explores new methods for collaboration with other labs and research groups e.g. data sharing, open dialogues between labs, joint projects, involvement in internal and external initiatives in the field, conference attendance, participation in boards & committees etc. Offers useful contributions for the advance of the field of regenerative medicine as a whole e.g. provide useful tool/resource to the wider scientific community, novel ideas/areas of research, studying an unconventional theory/area that is struggling to gain recognition and funding, experimental reproduction for validity, lecturing, peer review, active role on journal editorial boards etc. Participates in external communication and outreach to promote the field of regenerative medicine to the general public e.g. press releases, altruism, patient advocacy, offering learning resources, educational programs and initiatives, highlighting potential for translation to the clinic and benefit to the patient. 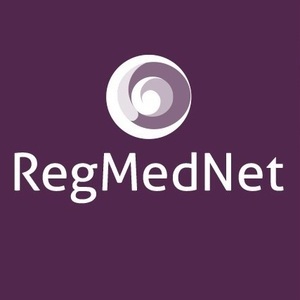 RegMedNet Award for Cultivating Excellence 2017 - Nominate Now!